(C) Julia Briggs for use by The English Tea Store. All rights reserved. Oven 190 C, 375 F or gas mark 5. I like to cook the apples and add sugar before I start but if you are using fruit from a tin it may not need cooking or sweetening. Put the prepared fruit in a greased oven-proof dish. Cream the butter with the sugar until light and fluffy. Beat in the eggs and stir in the flour gently. Spoon this mixture over the top of your apples and bake for 40 minutes. 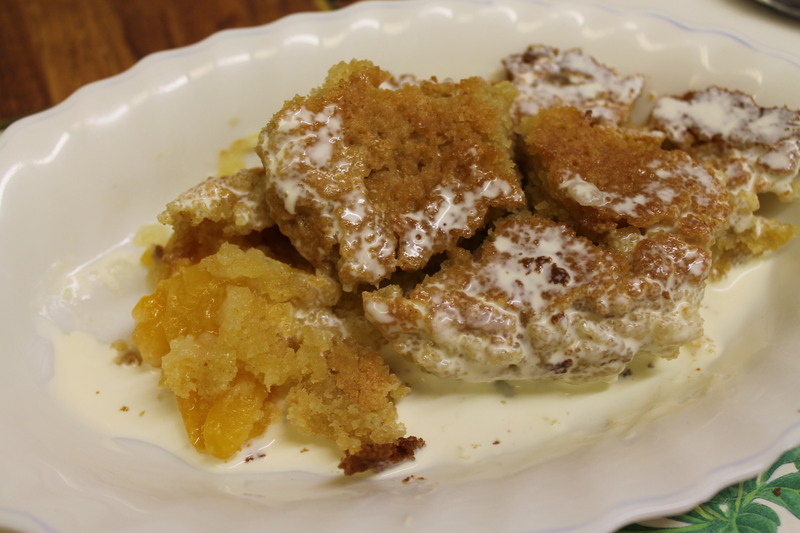 Care and Feeding of the Brown Betty – Part 5 Plus Bonus Recipe!